Popular singer of Assam Zubeen Garg on Saturday lambasts Assam State BJP president Ranjeet Dass while reiterating his firm stands against the Citizenship (Amendment) Bill 2016. “No matter what, I will always speak the truth,” the singer said reacting to the remarks made by Assam BJP president Ranjeet Dass on the singer’s stand on the Bill. Zubeen Garg has called upon the people of Assam to take part in the Bajra Ninad programme organised by All Assam Students’ Union (AASU) along with 30 other organisations of ethnic communities on January 23, in protest against the much-debated Citizenship (Amendment) Bill 2016. 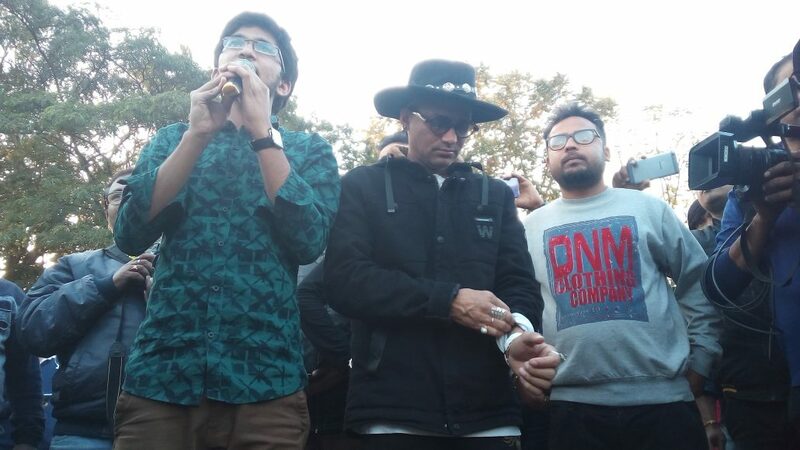 Ranjeet Dass had earlier said that Zubeen Garg should refrain from raising insubstantial issues in reference to the singer’s efforts to whip up opposition to the contentious Bill. Zubeen Garg has been speaking strongly against Citizenship (Amendment) Bill and even made an appeal to Chief Minister Sarbananda Sonowal to get the Bill scrapped.